This illuminating series of books contains the formal and informal talks of a world renowned master and authority on yoga. 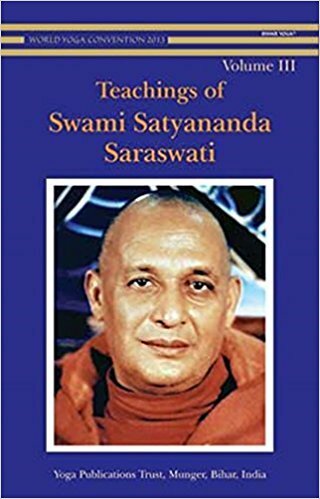 For those yogic aspirants and spiritual seekers who are unable to be in the presence of a great master to hear his teachings directly, these books are an incomparable gift of knowledge and inspiration. Each volume contains spiritual truths and practical guidelines conveyed simply and from the heart. Ideal for all levels of aspirants and seekers from beginners to advanced. Volume 3 contains talks and satsangs on scientific research on yoga, Sri Rama, the awakening of kundalini, dynamic awareness, yoga and concentration, sadhana for the mind, yoga and religion, self-discovery, witnessing the volcanic mind and others.